Chris Hemsworth & Tom Hiddleston: 'Avengers' NYC Premiere! Camilla Belle & Kellan Lutz: Tribeca Film Festival Awards! Jennifer Morrison & Jamie Chung: 'Knife Fight' at Tribeca! Naomi Watts & Liev Schreiber: Chanel Artist Dinner at Tribeca! Camilla Belle & Kellan Lutz: Chanel Artist Dinner at Tribeca! Kate Bosworth: Rave Reviews for 'While We Were Here'! Claire Danes & Hugh Dancy: 'Hysteria' Premiere! Camilla Belle: Women's Filmmaker Brunch! 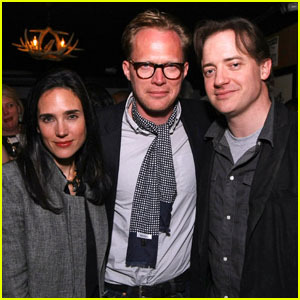 Jennifer Connelly: Tribeca Film Fest with Paul Bettany! Michelle Williams: 'Take This Waltz' with Jason Segel! Elizabeth McGovern: 'Cheerful Weather' For a Portrait! Olivia Wilde: 'Help Wanted' Premiere at Tribeca! 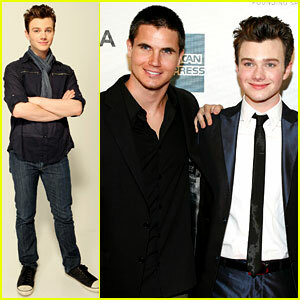 Chris Colfer: 'Struck By Lightning' Premiere with Robbie Amell! Emma Watson: 'Struck By Lightning' Premiere! Camilla Belle & Kellan Lutz: 'Fairhaven' Tribeca Premiere!